Topacio is grown by small producers located in regions of Jaltenango and Villacorzo Chiapas of Mexico. These small producers hand-pulp their coffee and ferment it in little tanks before sun-drying them during harvest between January and April. Several micro climates with heavy humidity gives the coffee in this region a good acidity and a nice body. Zones between 1,100 and 1,500 meters are rich in volcanic soil and have a good combination of sunlight, temperature and precipitation that provide the essential components for growing Strictly High Grown coffee. Some say this is where Mexico´s best coffee can be found and famous farms like Liquidambar, Prusia, and Custepeces played an important part in Mexico´s last century´s coffee history. Mexico is one of the largest coffee-producing countries in the world, and the largest producer of organic coffee, accounting for 60% of world production in 2000. The vast majority of Mexican coffee, and particularly organic coffee, is grown by small farmers in the southern-most states of Chiapas and Oaxaca. These two states also happen to be the poorest in the country, and not coincidentally, have the largest indigenous populations. Coffee is one of Mexico’s most lucrative exports and close to half a million small farmers and their families rely on the crop for their economic survival. Historically, Mexican coffee was viewed as an inexpensive, low grown blender with cup characteristics including a nuttiness, chocolate, and generally mild. However, today, high grown Mexican coffee has extremely interesting complex citric and malic acidity, balanced sweetness in the form of chocolate and toffee, and an overall clean cup. 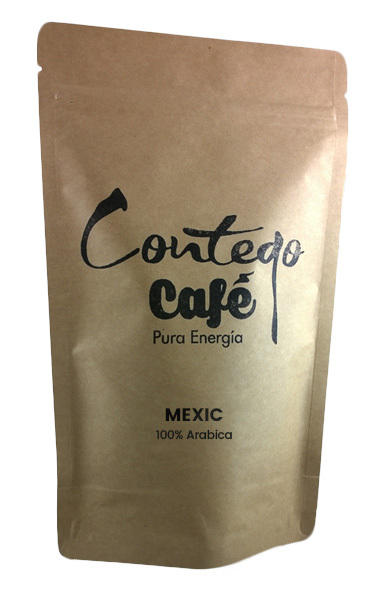 Mexican coffee has some a long way in the last decade, and we are now see coffees which undoubtedly change some people’s expectations of the country. Being such a large producing country, Mexico is bursting with potential. The climate and altitude conditions are excellent for specialty coffee, and every year more efforts are made to not just find it, but improve it. Throughout the countryside you find a number of nurseries hosting stronger, better varieties that will lead to a sustainable focus on quality and consistency. The diversity throughout the country leaves endless possibilities for new, exciting cup profiles. We have been thrilled to find taste characteristics from across the world present in coffees grown there, and we’re only at the beginning of discovering what is possible. Lot separation, altitude separation, variety separation…all are being tried more and more, with great results. Cupping Notes: Bright acidity with citrus, chocolate and caramel notes. 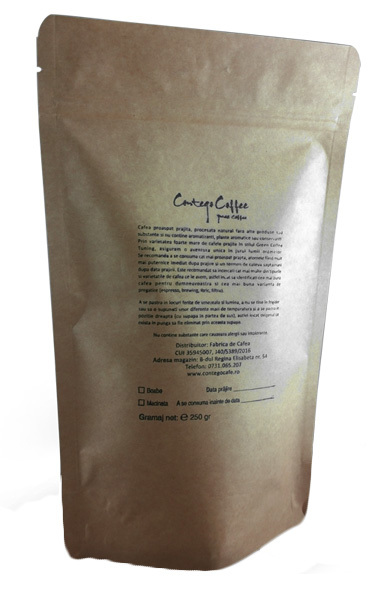 Brewing Tips: Mexic coffee`s fruity acidity and it`s light body shine best being prepared with the Aeropress method. You can have a good taste of chocolate and nutty flavor almost like an espresso, but with a light body of a brew.